A few weeks back, we shared our guide to clothes for college. In it, we mentioned that it’s imperative that you have a good bag on deck before you go to college. In fact, you should probably have a few different bags for different occasions. Not sure where to start or just want some new bag suggestions? 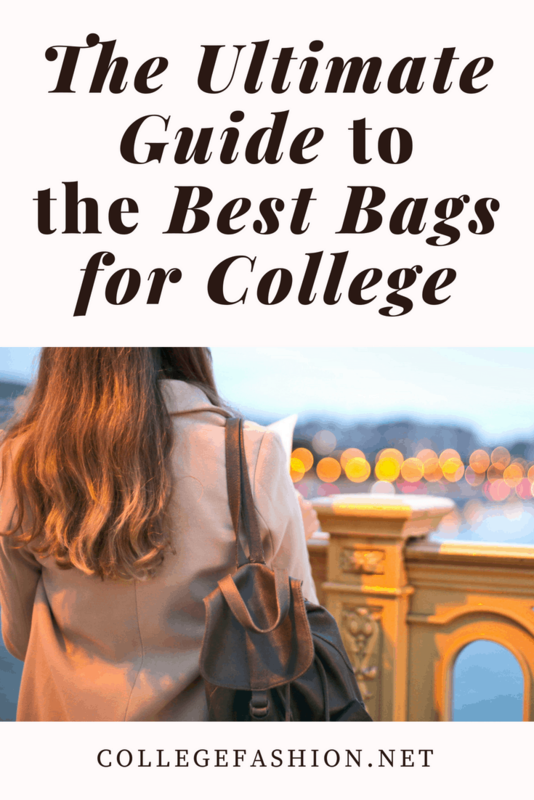 Here is the CF guide to the best bags for college and where to buy them! I highly recommend buying a backpack since you don’t need to increase the chances of back problems this early on in life. Backpacks evenly distribute the weight of your laptop and heavy textbooks (curse the professors that require us to carry them to class!) 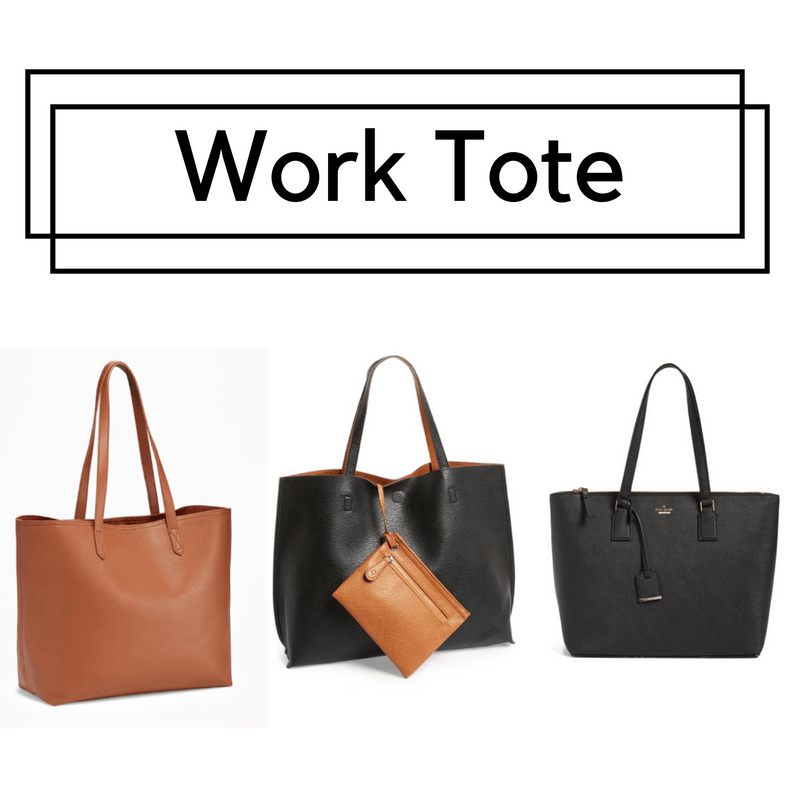 while tote bags place all the strain on one shoulder. However, I have seen incredibly cute tote bags so buy what works for you! Either way, I would look for a school bag that has a special protective pocket for your laptop. No need to damage the most expensive investment you’ve made in life so far, other than than your college education itself. Confession: I got this backpack from Costco and I match a lot of the boys in my programming class, but it’s functional, inexpensive, and something I won’t have to replace, ever. It’s also black which goes with everything! For the backpacks, I chose black options since stains are less likely to show up on the bag. You’ll be setting it down on the floor of your lecture hall, and that is never pretty. The backpacks are less expensive while the tote bag is a splurge from Lululemon; you’ll want to spend more money on a tote bag to ensure that you’re minimizing the strain on your shoulder. Plus, that tote bag is large enough to be a nice day or weekend trip bag! The classic backpack from Amazon is a no fuss option; durable and simple. The second black backpack is a bit dressier, and would translate well to an internship or workplace setting that is business casual. 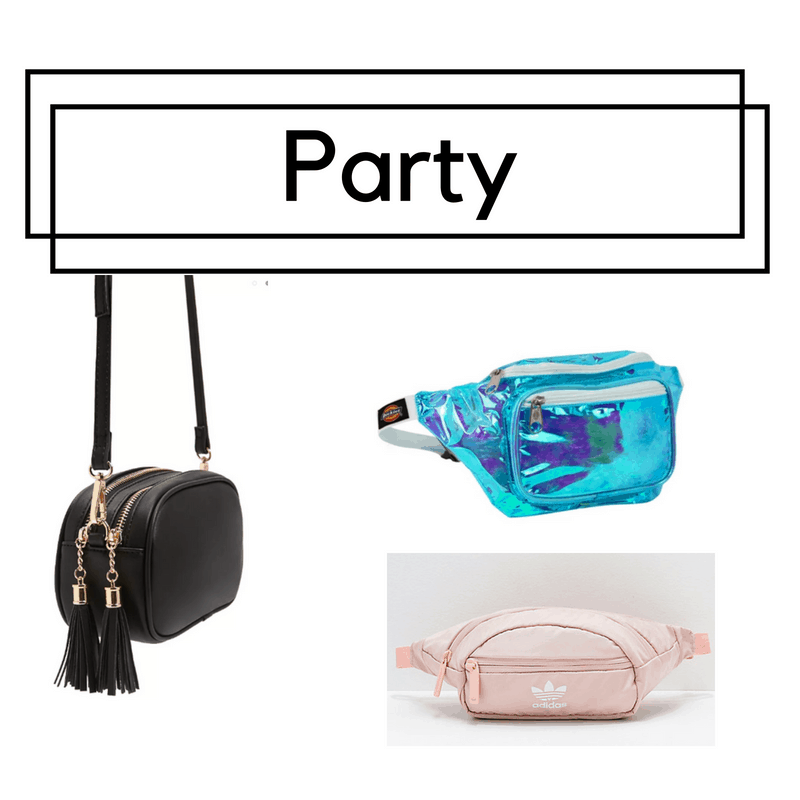 Now fanny packs have been getting a lot of hate since their inception, but they can also be worn in classy settings and not just at your crazy rave. Lauriane, pictured above, single-handedly convinced me to give the fanny pack route a try, and going hands-free couldn’t have been sweeter. I also get to look super stylish and trendy which is a plus! The Urban crossbody is a trendy and unique pick; straw bags have been everywhere during Summer 2018 and it’s not too late to jump on the trend! For $34, it’s not too expensive either. Fanny packs have also been big and this faux leather one from Nasty Gal is an edgy experiment for $20! The Coach wristlet is a classic that will last for years to come, especially in a navy and gold color scheme. 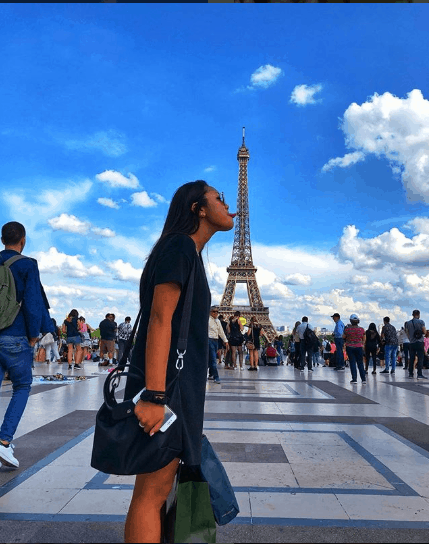 A formal bag for interviews might not be necessary until you’re closer to graduation, but as Rachel proves in her photo above, they can also be great travel options when you want to take a cute insta! A formal bag can be necessary in some cases because you don’t want an interviewer to take a look at your cute printed bag with flamingos on it from Forever 21 and assume you’re inexperienced. You should be the focus of an interview; not the quality or unprofessional look of your bag. I highly recommend a neutral colored option that’s faux leather. It’s timeless and can last you forever! For $32, the Cognac tote from Old Navy is a great buy if you don’t have a lot of money to spare for an additional bag! The reversible tote from Nordstrom is the perfect option for an indecisive girl, whether you can’t pick between the black or cognac color of the tote or you’re interested in swapping the tote for the wristlet that comes with it. It’s also $49 with 1.3 k reviews and a 4.5 star rating! The Kate Spade tote is an investment in a classic black. You’ll want a wallet to store your credit cards, ID, and cash if your everyday purse or backpack doesn’t have a designated pocket for this purpose. The last thing you want to do is be scrambling to find your credit card as you buy lunch in a long Chipotle line, or worse, panic and think you lost your ID only to find that it was in your bag the entire time. (These are two scenarios I have personally dealt with – don’t anger hungry burrito buyers or call your mom in a panic about a “lost” driver’s license. Just don’t.) Wallets also come in every girl’s budget! Wallets are a fun and inexpensive way to add a pop of color or character to your closet; the lemon yellow wallet is a beautiful option for those with quirky style on a budget! The Guess wallet is a basic girl’s dream (no shame!) 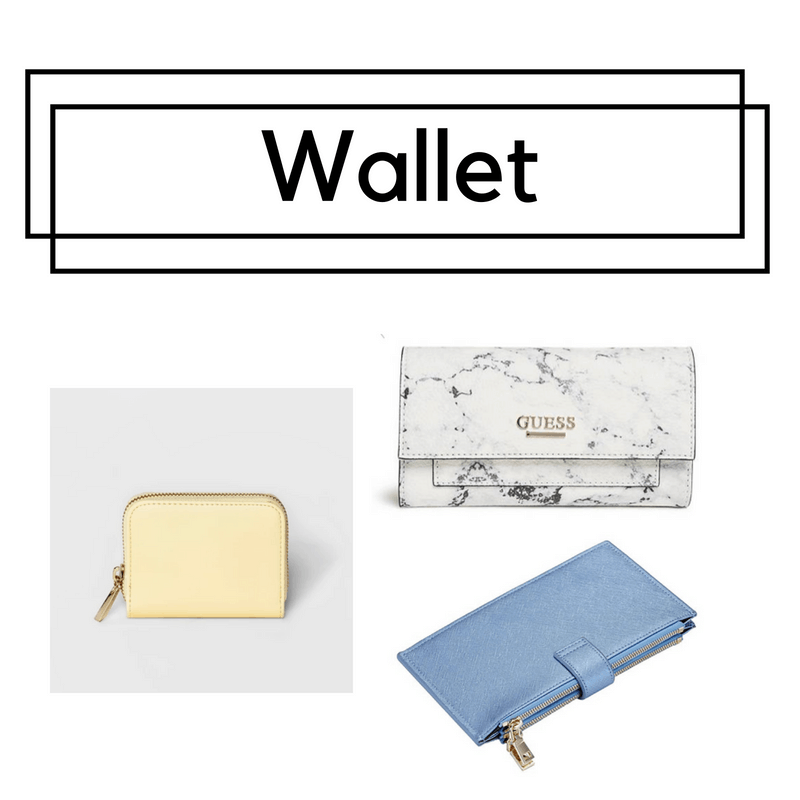 in a polished marble print; for $35, this wallet is pretty well priced! The blue travel wallet from Amazon is a classic piece with some modern technology thrown in; it’s RFID resistant which means your credit cards will be safer from hackers and it’s under $15! In college, you need a bag that can be brought to a party and potentially destroyed; the last thing you want to do is ruin an investment bag or lose your favorite bag gifted to you by your grandmother. I recommend an option that can allow you to go hands-free, like a fanny pack or cross body. This bag should be inexpensive (think Forever 21 or a low cost option from Amazon). This is especially important if you’re wearing an outfit without pockets since you can’t leave your dorm without your phone, ID, and keys. If you have an old bag from high school, it’s time to bring it back for this purpose. Here are some great inexpensive options ranging from $13 – $25! The Forever 21 bag is a classic black crossbody; nothing conspicuous. The holographic fanny pack from target is a classic music festival/rave bag, but who doesn’t like a fun holographic print once in a while? The Adidas original fanny pack is relatively inexpensive for an Adidas original product and the millennial pink and white is super cute! Not only do reusable grocery bags help reduce your environmental impact, they also make groceries a lot easier to carry if you buy food regularly. 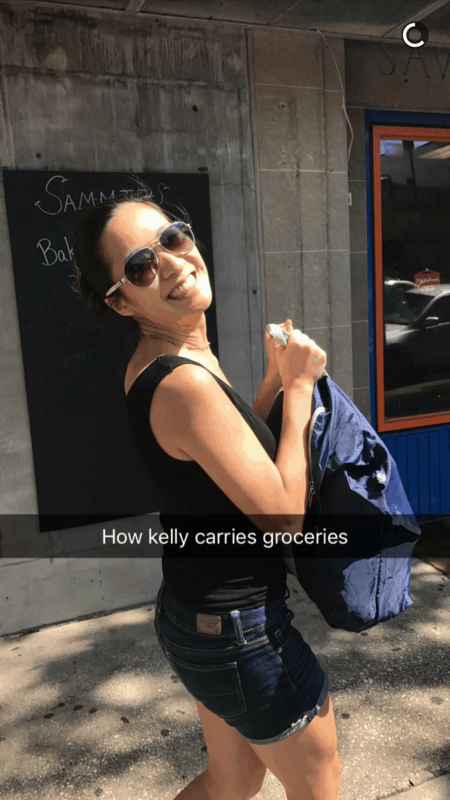 Now you can avoid making awkward dinosaur arms when you carry your almond milk, cold brew coffee, and frozen fruit (three staples in my own grocery routine). 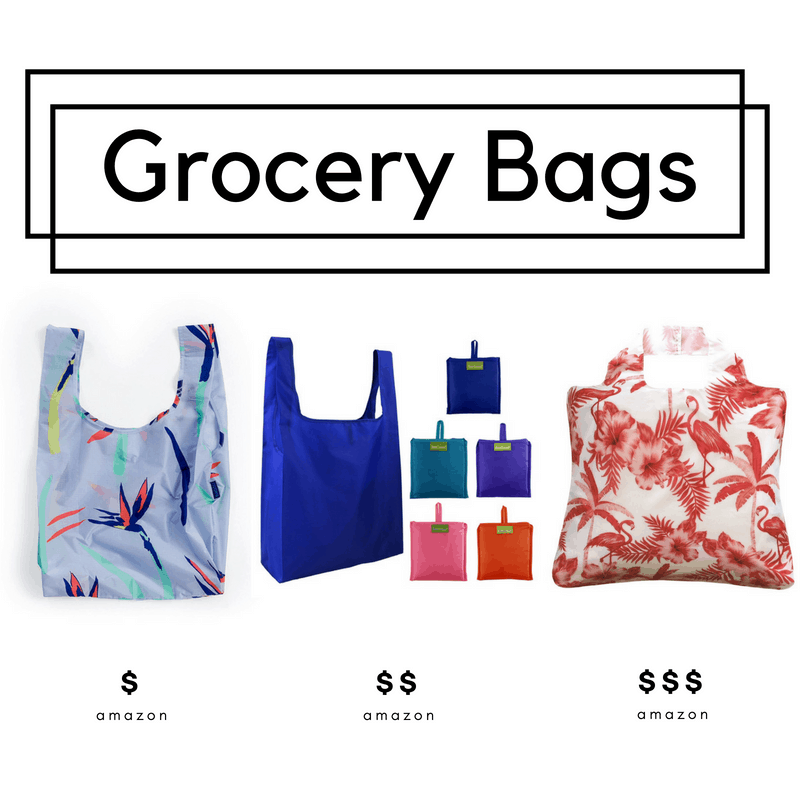 If grocery shopping will be a rare occurrence for you (I’m looking at you college frosh on a meal plan), the single bag from Baggu is a great option. It’s also cute enough to double as an extra bag for everyday needs when you’re running around campus! If you’re looking for a set of bags for regular grocery shopping, the set of five in the center is a great option. The flamingo bag also comes in a set of five, and comes insulated! It’s the most expensive option, but if the nearest grocery store is far away it might be worth considering insulated bags. 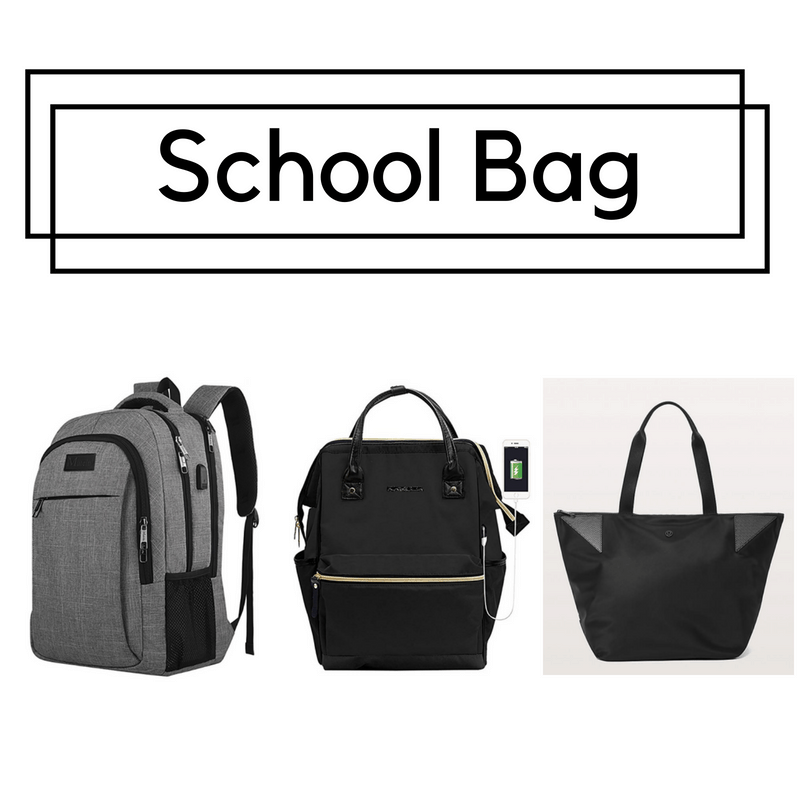 What do you consider the best bags for college? What did you think about our must-have bags? Do you use these regularly? Let us know in the comments below!